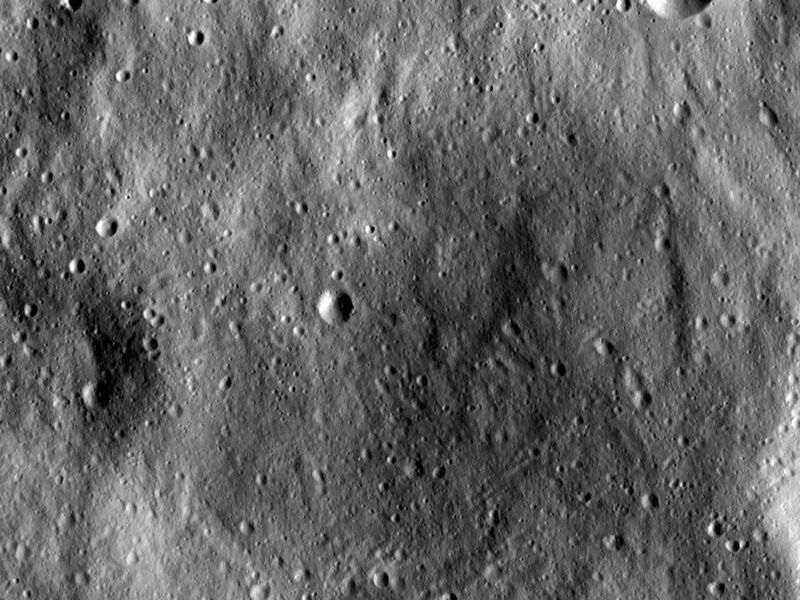 This Dawn framing camera (FC) image of Vesta shows an old, very degraded crater that is almost completely filled with regolith. Regolith is the fine-grained material that covers most of Vesta's surface. Parts of the rim of the old crater are barely visible in this image as curving ridges. 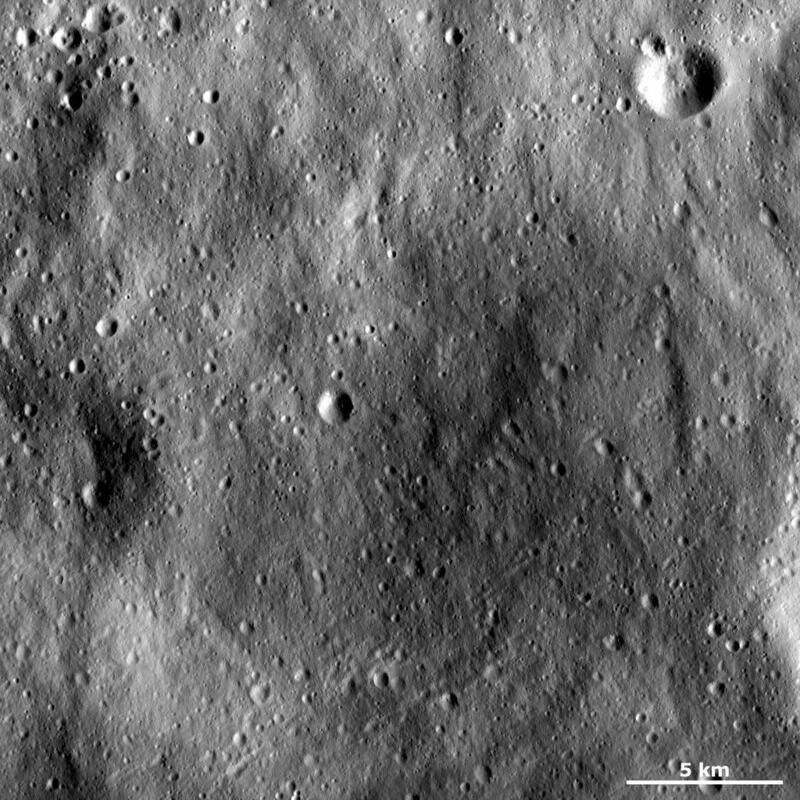 There have been many subsequent impact craters formed in the crater-filling regolith and there are also many grooves cutting across it. These grooves run diagonally across the image and are most visible in the bottom right of the image. This image is located in Vesta's Oppia quadrangle, near the equator. 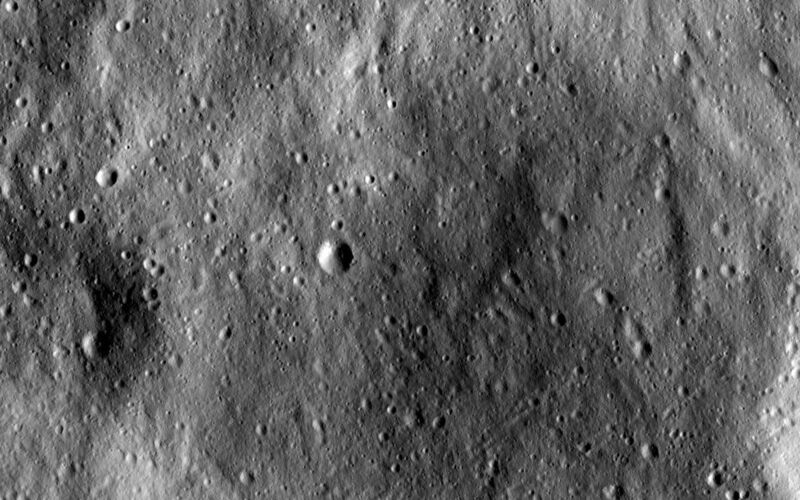 NASA's Dawn spacecraft obtained this image with its framing camera on Jan. 1, 2012. This image was taken through the camera's clear filter. The distance to the surface of Vesta is 272 kilometers (169 miles) and the image has a resolution of about 25 meters (82 feet) per pixel. This image was acquired during the LAMO (low-altitude mapping orbit) phase of the mission.